Market dynamics and disruptive technologies may be what you think threatens your business model, but a lack of competence is what should really keep you awake at night. Do you remember what math class was like back in elementary school? For some of us it was a fun part of the day when you got to solve problems, but let’s be honest: most people in the class couldn’t wait for the bell to ring so they could get out of there. For them, math was difficult, boring and not something they saw any real use for, besides passing tests in school. And it was the same story in most science-related classes: chemistry, physics, programming. Today we know that there is a systematic low interest in science and technology among the younger generation in most parts of the world, something that’s been on the radar of the OECD and the academic community for well over a decade. University representatives are worried by this low interest and companies report that already today jobs such as engineers and technicians are some of the most difficult positions to fill. The reasons for this low interest is debatable, and some want to blame bad teachers, but more likely it has to do with perceptions that science and technology are difficult and boring, and really just for some smart (and pretty geeky) people who are looking for a certain type of job. So why should we business professionals care about this “school problem?” Well because in the end, this is our problem. The technological development is going faster every day, with everything from finance to product development relying heavily on technical solutions and science. Like it or not, we’re all in tech! Global organizations are already feeling the effects today and the last thing we want is a lack of skilled employees to put a cap on growth. Not only that, we need more diversity to stimulate innovation and keep that competitive edge. A lack of female employees is not just a tech problem but something we see in many industries, for example, oil & gas, automotive, financial services and construction. It’s an important issue and one that IFS is keen to address. Even though it’s a monumental problem, we have to start somewhere. At IFS, we decided to reach out to universities, high schools and NPOs on a global level and ask them if they were interested in cooperating with us to try to increase the interest in traditional STEM subjects with the next generation– and the response was overwhelming. 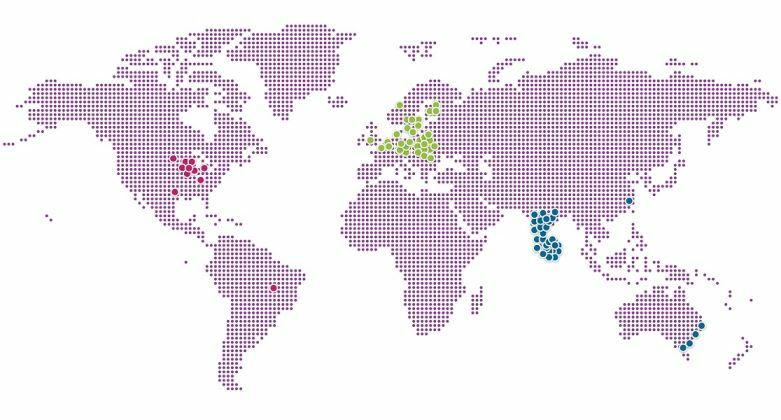 So far more than 80 universities all over the world have signed up to participate in the IFS Education Program, an initiative to get IFS employees out to these schools and actively work to change beliefs about science being difficult and boring. By lecturing about what we do and the opportunities in our industry, donating computer equipment, letting students play around in IFS Applications and just talking to them about all the great opportunities that exist out there for someone who has a good understanding of technology, we hope to broaden their horizons and fight prejudice about tech education being just for some people. We want to show students of all ages that at the end of their university studies with a minor or major in a traditional STEM subject, there is so much more than white lab coats, long equations and Jolt cola. An engineer can work in sales, marketing, finance, HR in all kinds of industries and their degree will open doors, not limit their options for the future. So what happens now? We are hoping to inspire our customers and partners to join us in this initiative and go with us to these schools to give the students even more good examples of where science and technology may take them. This is our collective problem – or perhaps we should see it as an opportunity – and something that the government and the education system need the industry’s support to correct. By tackling it head on through a dialogue with the next generation, we are setting ourselves up for fantastic future colleagues and a world where the competence in science and technology is as self-evident as reading or writing. Do you have questions or comments about the IFS Education Program?